Today's look is what I ended up wearing Saturday. It was super warm out in Seattle, which is like 85, so not really that hot for most places. My husband and I were meeting up with one of out friends to go to the Edmonds Farmers market and enjoy the sunshine. 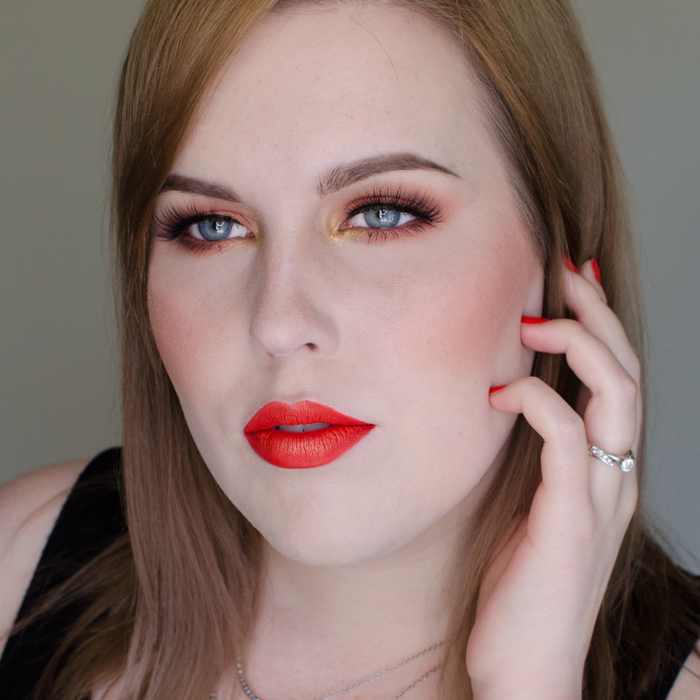 I wanted to try out my new makeup geek eyeshadows and I've been missing orangy red lips, so I incorporated both into my look.